S. Ventura, J., C. Escobar, E., Jahng (Philippines & Republic of Korea), D. (2016). Bio-butanol Production by Clostridium saccharoperbutylacetonicum N1-4 using Selected Species of Brown and Red Macroalgae. 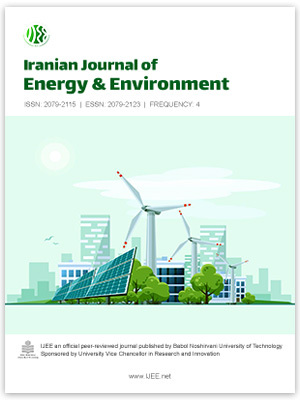 Iranian Journal of Energy and Environment; previously called: Iranica Journal of Energy & Environment, 7(4), -. J.R. S. Ventura; E. C. Escobar; D. Jahng (Philippines & Republic of Korea). "Bio-butanol Production by Clostridium saccharoperbutylacetonicum N1-4 using Selected Species of Brown and Red Macroalgae". Iranian Journal of Energy and Environment; previously called: Iranica Journal of Energy & Environment, 7, 4, 2016, -. S. Ventura, J., C. Escobar, E., Jahng (Philippines & Republic of Korea), D. (2016). 'Bio-butanol Production by Clostridium saccharoperbutylacetonicum N1-4 using Selected Species of Brown and Red Macroalgae', Iranian Journal of Energy and Environment; previously called: Iranica Journal of Energy & Environment, 7(4), pp. -. S. Ventura, J., C. Escobar, E., Jahng (Philippines & Republic of Korea), D. Bio-butanol Production by Clostridium saccharoperbutylacetonicum N1-4 using Selected Species of Brown and Red Macroalgae. Iranian Journal of Energy and Environment; previously called: Iranica Journal of Energy & Environment, 2016; 7(4): -.